Automatic Pet Feeders and Waterers – An Economical Solution for Traveling Pet Owners- CLICK HERE! Whether you plan on traveling or staying around your home this summer, an automatic pet feeder and waterer is a great way to ensure your pet is feed and has fresh water while you are away. An automatic feeder and waterer for your pet is great for pet owners can’t afford the extra cost of boarding the family pet while on vacation or pet owners that are away from the house for a day. Both can be used for an extended stay, but you should have someone check on your pet everyday and to let your pet outside if necessary. One of my favorite feeders is the Le Bistro Electronic Portion Control Feeder by Petmate. It is very easy to use and may be programmed to provide your pet with the correct portion of feed at the right time of day. This clever feeder can dispense meals three times a day and will give your pet ¼ to 2 cups of food at a time. The portion control is great for pets that are overweight or tend to over eat. Great for cats or dogs, this feeder is also ideal for daily use. An automatic waterer is also great for supplying your pet with fresh water throughout the day, whether you are home or away. A great automatic waterer is the Petmate Fresh Flow Pet Fountain. This waterer is perfect for both cats and dogs. On-the-go pet owners love the convenience of this easy-to-use waterer and your pet will also love the supply of fresh water. Water is filtered, so your pet always has fresh, clean water. If you have to be away from your pet this summer for a day or a weekend, an automatic feeder or waterer can be a great thing to have. Your pet will have a fresh supply of food and water all day long and you will have peace of mind. Pet Supply Memorial Day Sale - Use coupon code: memorial- CLICK HERE! Memorial Day was first established in 1868 in order to honor the soldiers who had died during the Civil War. It was initially only recognized by the state of New York and then the remainder of the northern states jumped on board. It wasn't followed by the south until after World War I. It's hard to remember why we enjoy the freedom of our Memorial Day picnics. So if by chance, you are reading this, nod your head and say a quick prayer and thank you to those that have lost their lives to make your's better. GregRobert Pet Supplies is offering $7.00 off any order of $100 or more using coupon code: memorial. So today is the day to stock up and save. The American Sunflower Tube Bird Feeder - as low as $21.00. These sunflower tube feeders were created to celebrate our country and the men, women and dogs that sacrificed for it. If you know of a dog or other pet that sacrificed their lives for the good of the country or saving his or her owner, please submit your story in the comments. We will publish all stories about pet bravery. 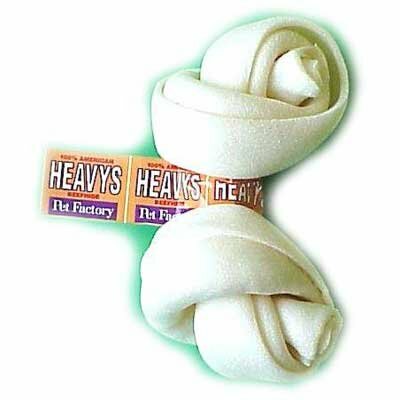 American Made Heavy Weight Dog Chews These are Clear Basted American Beef-Hide - USA Made from premium bones, flavored, but the color is removed. Prevents almost all noticeable staining. According to the manufacturer of these rawhides: "Pet Factory will continue to manufacture products from US beefhides, in environmentally safe and controlled facilities. It is something which we pride ourselves on, something we continually work on, and something which certainly is a long term sell." After your pet has enjoyed the dog chew for a while, you could remove the dog chew and let it stand to become dry again, so that it is firm for the next time your pet is ready to enjoy the dog chew. How to Keep Your Pet Bird Happy and Healthy- CLICK HERE! Having a pet bird can be expensive and time consuming, but it is worth the effort. A pet bird needs to have a clean living environment, entertainment and a healthy diet in order to thrive. If pet bird is healthy and happy, you will have many years of quality time with your pet bird. Always make sure that your pet bird’s cage is clean. A clean cage helps to prevent diseases that birds get from waste and bacteria. Use cleaners intended for cleaning cages to insure that you pet bird’s cage is sanitary. A great kit for cleaning pet bird cages is the EZ Care Cleaning Kit by Super Pet. This handy tool is great for cleaning hard-to-reach areas and may be cleaned in your dishwasher. It’s a good idea to keep several perches and toys in your pet bird’s cage to help keep your bird entertained. Pet birds need mental stimulation because they are typically kept in a cage for a long period of time. Adding several perches allows them to change positions and views. Also, toys are great because they allow your pet bird to have something fun to plays. Try adding a fun bell or chime and your pet bird will love it. Lastly, feed your pet bird the right type of bird seed daily. You bird may benefit from seed or pellet food. Find out what type of food is formulated for the type of bird that you have. Also, pet birds may enjoy fresh fruit and raw vegetables. Avoid giving your pet bird seasoned or cooked food. You may want to provide your pet bird with a variety of tastes and textures. If you provide your pet bird with a clean, healthy, and fun environment, he or she will live a long healthy life and provide you with many years of enjoyment. GregRobert Quality Pet Supplies Says "Let's Go Red Wings"- CLICK HERE! Detroit has a rich history with tossing an octopi out on the ice while the players are skating. Recently, this tradition has been banned. Anyone caught tossing the 8 legged creature onto the ice is ousted from Joe Louis Arena. As the Red Wings take on the Anaheim Ducks in Game 7 tonight, some of our Hockeytown fans will try to smuggle in a stinky octopi to toss in honor of their beloved team. Why not try a stuffed toy? 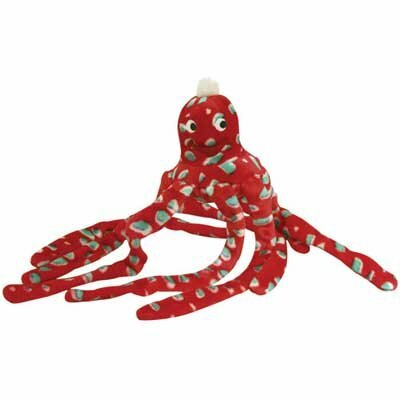 This Spotted Red Octopus dog toy from GregRobert Quality Pet Supplies would be a great guy to take along to the game. He's big, red with white spots, plus he is stuffed- not with real guts either. Apparently the pieces left by the real octopi on the ice were a problem for the Zamboni to clean up. In addition to this snuggly spotted Red Octopus, GregRobert Pet features a wide variety for the octopi lover. The extremely bright and cherry Colossal Plush Octopus, complete with very cute smiling face, is sure to bring a smile to any hockey fan, even a Duck fan. This fuzzy guy measures a huge 15" in diameter and is an excellent toy for hockey fans, dog lovers, kids, or even large breed dogs. Another suggestion is Oscar the Octopus Dog Toy. This adorable Octopus Dog Toy comes in two different colors and three sizes for all types of dogs..........err.....um, hockey fans. Anyone will love this plush octopus because he is floppy and smiley and the perfect companion for your pet- or hockey fan. Along with the fun and fuzzy Octopi dog toys, GregRobert Quality Pet Supplies features two very distinctive Octopus Aquarium ornaments that are perfect compliments for a fabulous fish tank. The Octous Treasure Vault Aquarium ornament is a hand painted, life-like replica of an octopus guardian a sunken vault filled with treasures. An Exotic Environments Blue Ring Octopus Aquarium decoration is hand crafted to look authentic. Made from poly resin, this Octopus decoration will add interest and color, and is safe for any type of aquarium. For more information on Octopus accessories, please visit http://www.grpet.com/. Fresh Air Access for Outdoor and Indoor Cats- CLICK HERE! With the weather getting warmer, your cat will enjoy spending more time outside or at an open enjoying the fresh air. For a happier cat, you may want to consider investing in a cat door or a cat veranda. A cat door is very convenient, especially if you get tired of letting your cat outside or don’t spend a lot of time at home. A cat veranda is ideal for any cat owner who has a indoor or outdoor cat that loves to enjoy fresh air, while enjoying the comforts of home. The Cat Windoor by Petsafe is a clever door for cats that easily attaches to your window and allows your cat access to the outside. This unique door can be removed at any time or when the weather turns colder. The door is made to fit snuggly and securely into your window and will withstand various types of weather conditions. Your cat will love this safe, easy, and convenient door for access to the outdoors. A great way for an inside cat to enjoy the outdoors is the PetSafe Cat Veranda. This clever and unique veranda allows your cat to enjoy the outdoors, while being safely inside. It is easy to attach to your window and has a secure, weather-proof fit. The veranda has a covered roof for protection and has a washable interior that is carpeted. Your cat will enjoy this cozy outdoor spot safely in the comfort of his home. Whether your cat loves being outdoors or is an indoor cat that loves to smell the fresh, summer air, your cat is sure to love either the Cat Windoor or Cat Veranda by Petsafe. Check out these great cat products and more at GregRobert Pet Supplies. 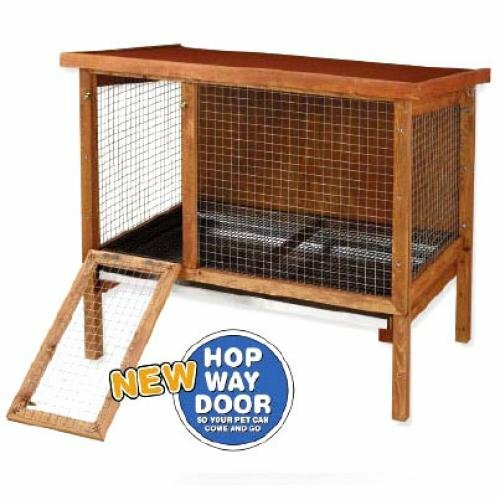 Ware Rabbit Hutch Sale at RabbitMart.com- CLICK HERE! Ware products feature deluxe, craftsman-style rabbit hutches at reasonable prices. At RabbitMart, they are priced about 20% lower than retail stores and much less than other online retailers. In addition, use coupon code: googlerocks to save another $5.00 on any hutch. The Ware rabbit hutches offer convenience and safety with an elegant look that will complement any outdoor setting. Most of the hutches are constructed of solid fir tongue & groove lumber with heavy-duty wire mesh panels. Asphalt-shingled roofs on Ware Rabbit Hutches and nontoxic, waterproof wood stain add weather protection. If used outside, it is still recommended that you protect the hutch from rain and snow. Also to note, is that all the hutches assemble in minutes with just a screwdriver. To maintain a healthy environment for both you and your rabbit, the entire cage or hutch and accessories should be thoroughly cleaned and the bedding should be changed once per week. Cage wires and cage accessories can be washed with warm water and a mild soap. Thoroughly rinse each washed item, however, to ensure all soap residue is removed. Then let the product air dry before returning it to your rabbit's environment. On a daily basis clean up spills, stale food, shed fur, and messes inside the hutch. If your rabbit is litter trained, change the litter in the litter pan. Placing the litter box in a corner of the cage will help prevent urine and feces from spreading to places where your rabbit eats or sleeps. Use rabbit-safe litters, only. Comfortable and Safe Airline Travel Tips for Your Dog- CLICK HERE! If you are taking your dog on an airplane this summer, it is important to follow some guidelines to ensure your dog’s safety and comfort when traveling. Always check with the airline to find out their specific requirements for your traveling dog. Also, you should find out if the destination has specific requirements for dogs. 1. Contact the airline that you are flying on first before you purchase an airline approved crate for your dog to find out the airline’s specific crate requirements. 2. If your dog is going to travel in the airplane’s cargo area, there are typically few size requirements for dog crates. However, make sure that your dog is able to stand and turn around in the crate for comfort. 3. The crate should have at least two vented sides, including the door area. Some airlines may require all three sides to be ventilated. 4. Do NOT choose a collapsible crate for safety reasons. 5. In addition, the crate should be able to be properly secured. Make sure that your dog won’t be able to escape from the crate. 6. Make sure that your dog’s water bottle can be accessed from the outside in case there is a delay and your dog needs more water. 7. Check to see if there are crate and dog weight requirements or additional fees that may be charged for weight. 8. The airline may not accept your dog for travel when temperatures on the ground are too hot or cold to ensure their comfort. 9. Make sure that you get to the airport early to ensure that your dog will be able to travel with you. There may be a limit to how many dogs that can travel in the cargo area. 10. Take along your dog’s favorite toy or blanket for extra comfort. 1. You may have to make a reservation in advance for your dog to travel with you in the cabin. As soon as you plan on taking your dog, call the airline to see if you need a reservation. 2. Destination limitations – there may be requirements for your dog at the destination location. 3. Check to see if there are additional charges for your dog for your dog to travel in the cabin. 4. There are specific size requirements for the kennel size and type. Contact the airline first before purchasing a crate. 5. The airline may have an age requirement, so make sure that your dog is old enough. 6. If your dog is in poor health, there may also be health requirements for your dog. 7. If you are taking more than one dog, there may also be additional requirements for multiple dogs. 8. Check to see if your dog can be removed from the carrier during the flight. 9. Find out if there are any food and water requirements for your dog. Check out GregRobert Pet Supplies for a great selection of airline approved crates!